Celebrate in style! 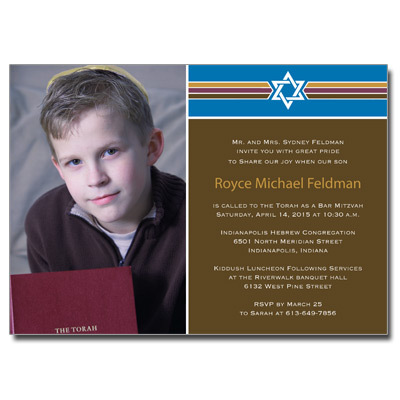 These Bar Mitzvah invitations are modern, yet traditional. 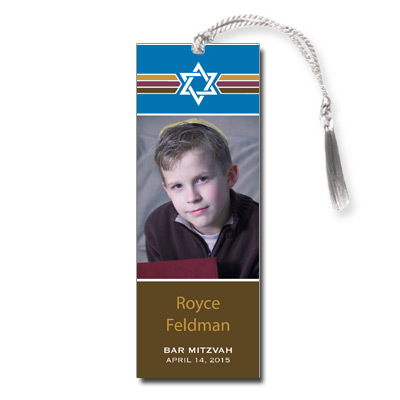 The Star of David is prominently displayed alongside a picture of your child. 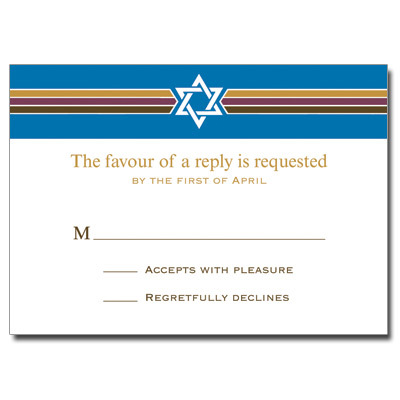 Invitation cards measures 5x7.